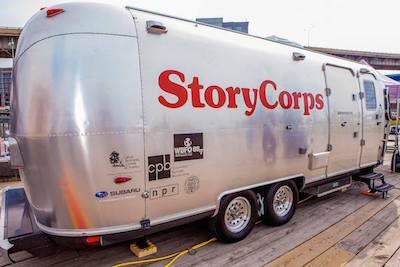 StoryCorps is committed to welcoming people of all abilities. The Mobile Booth, a converted air stream trailer, is wheelchair accessible. If you have any questions or concerns about accessibility, please don't hesitate to reach out to us.